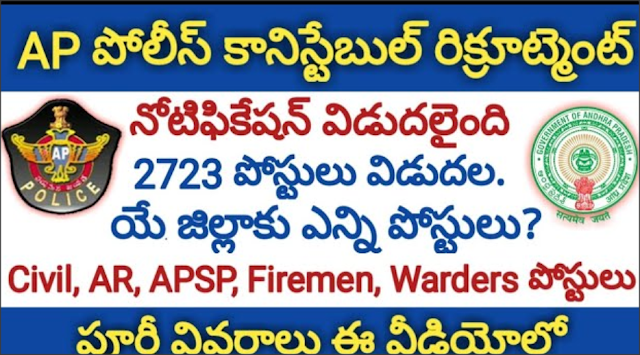 State Level Police Recruitment Board, Andhra Pradesh invites applications for the following posts. Qualification: Intermediate with Physical, Medical Standards. Date of online application: 12.11.2018 to 07.12.2018. Preliminary Written Test will be held on: 06.01.2019.